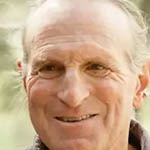 Marc Bekoff is professor emeritus of Ecology and Evolutionary Biology at the University of Colorado, Boulder, and is a Fellow of the Animal Behavior Society and a past Guggenheim Fellow. In 2000, he was awarded the Exemplar Award from the Animal Behavior Society for major long-term contributions to the field of animal behavior. Dr. Bekoff is also an ambassador for Jane Goodall’s Roots and Shoots program in which he works with students of all ages, senior citizens, and prisoners. He is also a member of the Ethics Committee of the Jane Goodall Institute. His main areas of research include animal behavior, cognitive ethology – which is the study of animal minds – behavioral ecology, and compassionate conservation. His latest book, scheduled for publication in April of next year written with Jessica Pierce, is entitled The Animals’ Agenda: Freedom, Compassion, and Coexistence in the Human Age. Chuck Collins is a senior scholar at the Institute for Policy Studies and directs it’s Program on Inequality and the Common Good . He is an expert on U.S. inequality and author of several books, including Economic Apartheid in America: A Primer on Economic Inequality and Insecurity , co-authored with Felice Yeskel. He co-authored with Bill Gates Sr. Wealth and Our Commonwealth , a case for taxing inherited fortunes. 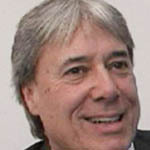 He is co-author with Mary Wright of The Moral Measure of the Economy, a book about Christian ethics and economic life. He is co-founder of Wealth for the Common Good, a network of business leaders, high-income households and partners working together to promote shared prosperity and fair taxation. In 1995, he co-founded United for a Fair Economy (UFE) to raise the profile of the inequality issue and support popular education and organizing efforts to address inequality. His latest book is entitled Born on Third Base A One Percenter Makes the Case for Tackling Inequality, Bringing Wealth Home, and Committing to the Common Good. I’ve been listening to the Ralph Nader Radio Hour since it was new, but I’ve found the programs in recent weeks especially interesting. In all cases, I wished the segments could have been longer. Looking forward to future shows. am interested in prof Beckoff being a bit more critical of the anthropocene and the coloniality of this view of history. Cant wait for the new Nader book to make it to my side of the atlantic.